September 15, 2018 marks the tenth anniversary of the collapse of Lehman Brothers, generally considered the beginning of the 2008 global financial crisis, a crisis primarily driven by mortgage-back securities supported by subprime real estate loans and inflated housing valuations. The financial crisis resulted in profound economic changes, including a protracted recession, a plunge in property values, higher unemployment rates and the collapse of several large financial institutions, including Washington Mutual and Countrywide Lending, among others. Over the past decade, the economic and political landscape has changed. Financial regulations, including the Dodd-Frank Act were instituted, real estate lending requirements became more stringent and new standards and guidelines were introduced to the appraisal practice. The aforementioned changes were meant to regulate the lax lending environment, which resulted in the global financial crisis. Now, 10-years later, the economy has recovered, unemployment levels are at historic-lows, the housing market has rebounded and property valuations have surpassed pre-crisis levels in many communities. In fact, home prices have reached record highs in two-thirds of U.S. housing markets while inventory has dropped to all-time lows, according to the National Association of Realtors. The rapid rise in home values is again giving rise to concerns that we maybe witnessing another real estate bubble, which is on the verge of bursting. While subprime loans are no longer as prevalent as they were a decade ago, many observers point to other worrisome factors. Rising Interest Rates: While mortgage rates are still low by historical standards, they are steadily rising. According to Freddie Mac’s latest Primary Mortgage Market survey, the 30-year fixed-rate mortgage averaged 4.51% for the week ending Aug. 23, 2018, compared to last year’s rate 3.86%. On a $500,000 house, this translates into a higher monthly payment of about $190, or $2,275 per year. In fact, according to the Mortgage Bankers Association’s seasonally adjusted report, the volume of mortgage applications is already 19 percent lower than the same week one year ago, when interest rates were lower. Affordability: Rising home prices have outpaced the growth in wages, making home ownership out of the range of a greater number of people. Home prices increased faster than wages in 64% of local markets, according to real estate data firm ATTOM Data Solutions, making home affordability the least it’s been since 2008. Median home prices nationwide have risen 75 percent since the first quarter of 2012, while average weekly wages have risen just 13 percent over the same time period, according to the analysis. Global Trade Tensions: A rapidly brewing trade war between the United States and several leading economies is giving rise to two major concerns pertaining to real estate. 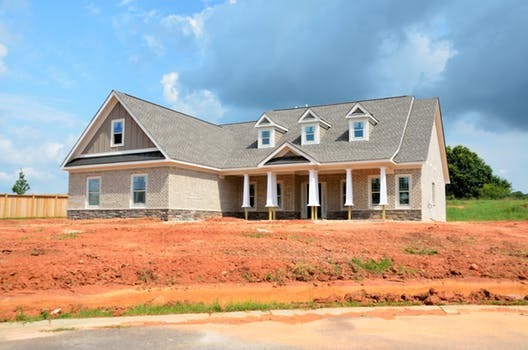 First, tariffs on imported raw materials such as lumber and steel, both important inputs in real estate construction, will inevitably lead to higher prices for newly constructed homes. Second, an economic slowdown in Canada, China or Russia will likely temper foreign demand for U.S. real estate, especially in coastal cities such as Seattle, San Francisco, Los Angeles and Miami. Politics: The U.S. political landscape is more polarized than usual. If Democrats are able to gain a majority in Congress during the upcoming midterm elections in November, the possibility of legislative gridlock is near certain. Impeachment and continuous scandals and investigations are also strong possibilities, all of which will likely have a negative impact on all sectors of the economy, including housing and construction. Summer is typically the most active season in terms of residential real estate transactions. However, despite news headlines of record-high home prices and tight inventories, there is already some empirical evidence that the housing market maybe cooling off. For the first time in almost four years, home prices posted three straight months of declines in annual appreciation, according to the latest Mortgage Monitor from Black Knight. Approximately 14 percent of all listings in June had undergone a price cut, that’s up from a recent low of 11.7 percent at the end of 2016, according to a new report from Zillow. Home price growth is slowing in nearly half of the 35 largest U.S. metropolitan markets. In San Diego, 20 percent of all listings had a price cut in June, up from 12 percent a year ago. The chief economist at the National Association of Realtors was out Monday with a forecast of a 1.0% decline in existing home sales in 2018 to 5.46 million – down from 5.51 million in 2017. Sales of new U.S. single-family homes unexpectedly fell in July to a nine-month low. The Commerce Department said again on Thursday that new home sales decreased 1.7 percent to a seasonally adjusted annual rate of 627,000 units last month. Sales of existing homes in the United States fell in July for the fourth straight month, hitting the slowest pace in two years, according to an industry survey released Wednesday. A monthly index of builder sentiment fell 1 point to 67 in August, the lowest level in 11 months. Sentiment was unchanged from one year ago, according to the National Association of Home Builders. According to the Mortgage Bankers Association’s seasonally adjusted report, the volume of mortgage applications was 19 percent lower than the same week one year ago, when interest rates were lower. Timing a real estate turnaround is far from an exact science. Additionally, basing long-term home-buying decisions on short-term changes is not ideal. As previously discussed, if you find a home that meets your needs and you can afford the down payment, monthly mortgages payments, property taxes, insurance and other related expenses, then you should pursue it and not try to wait for things to change. While home prices may drop in the near future, other changes may adversely impact your fortunes. For instance, an economic slowdown may also impact your employment status and lending criteria may become more stringent. However, timing is especially important for real estate investors, who buy and sell properties strictly for the purpose of making a profit. In this case, real estate investors may want to proceed with caution.